There aren't many small Android tablets that can set your world on fire. The manufacturers that are still invested in this market no longer seem to be interested in producing smaller devices, as their attention is now either focused on larger slates or hybrid devices. So, if you are in the market for a small tablet that runs Android, you clearly aren't spoiled for choice. This is why, after nearly three years on the market, the second-generation Nexus 7 is still my favorite. Google's last small slate got so many things right back in 2013 that I have been struggling to find an attractive replacement for it. But since Xiaomi introduced the Mi Pad 2, I have been wondering whether it is the successor that I have been waiting for so long. Given the opportunity to test it, I set upon to find out whether there truly is a small Android tablet to get excited about these days. 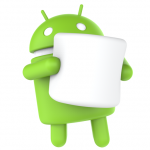 Google has released Android 6.0 Marshmallow, the latest iteration of its mobile operating system. The update will be rolled out over the air for a number of handsets starting from Nexus 6, Nexus 5, Nexus 7 (2013), and Nexus 9, but you can speed up the process by using the factory images. As you might be familiar, factory images need to be installed on your device manually. In case you don't remember the procedure, here's how you can get the latest flavor of Android on your device. Google has said that the new version of its mobile operating system, Android Marshmallow, will begin rolling out next week. In fact the rollout of Android 6.0 will begin on Monday October 5, the Inquirer reports, when Nexus device owners will be able to snag the new OS. You might think that Google will quickly update its supported Nexus devices to the latest version of Android, after releasing it. After all, the search giant controls the development of the mobile operating system and Nexus software updates. But that is not exactly the case. Some Nexus devices -- like the second-generation Nexus 7 -- got Android 5.1.1 Lollipop last month, while other handsets -- like the 4G LTE version of Nexus 9 -- are only now receiving the software upgrade. Not a level playing field it would seem. 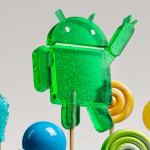 The latest Lollipop incarnation may been have around for more than a month now, first arriving on Android One smartphones slated for Indonesia, but Google only yesterday made the official announcement, and revealed the much-awaited changelog. 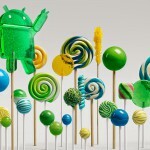 The good news doesn't end there, as the search giant also released a number of Android 5.1 factory images. Android 5.1 Lollipop packs some pretty major changes. Among them are support for multiple SIMs, a feature that lots of Android vendors have offered for years now, and Device Protection, a feature designed to deter smartphone theft. 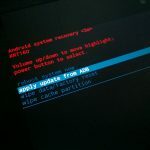 After releasing Android 5.0.2 Lollipop factory images for the 2013 and 2012 Wi-Fi Nexus 7, Google is now rolling out the latest version of Android for the two 7-inch tablets via an over-the-air (OTA) update. Google has yet to provide an official changelog for Android 5.0.2 Lollipop, but from the AOSP commits we can tell that there are only a couple of noteworthy changes made since Android 5.0.1 Lollipop. The biggest one is related to TRIM functionality, which should lead to noticeable improvements in performance. Android 5.0 Lollipop is far from perfect, arriving with nasty bugs that have affected battery life, performance, Wi-Fi and more. The first update that Google launched, version 5.0.1, managed to fix some of the problems users have reported, but some major ones persist even to this day. Personally, I am seeing my 2013 Wi-Fi Nexus 7 running excruciatingly slow at times, even with the first update in tow. Just like any other first iteration of a major operating system release, Android 5.0 Lollipop is not without its fair share of problems. The main issues that users are reporting are related to battery life, responsiveness and Wi-Fi. Like other 2013 Nexus 7 users, I also have problems every so often with video playback on YouTube, something which did not crop up back in the Android 4.4 KitKat days. Naturally, most issues will go away with the first or second update. 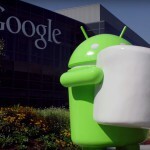 Google is actively working on squashing the reported bugs, proof being that the company just pushed Android 5.0.1 Lollipop to AOSP (Android Open Source Project) and released the accompanying factory images for a number of its devices. 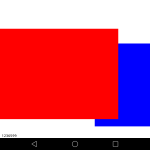 After making factory images available for Nexus 5 and Nexus 7, Google releases the source code for the Android L preview through AOSP (Android Open Source Project) for most of its compatible Nexus devices. And for many enthusiasts this means development for the next CyanogenMod version should kick off shortly. The team behind the popular custom distribution, however, announces that CyanogenMod 12 development will not start until the final bits of code are available. "'So let's get the flood-gates started on CM 12!' -- right? No", says the team in a new blog post, aptly named The "L" is for Later. At the I/O 2014 conference, Google showcased the latest version of Android, known only as L until its official launch later this year. Compared to its predecessor, KitKat, it comes with 64-bit support, design changes, the ART runtime running the show, tightened security, battery life and performance improvements, notifications tweaks, new APIs and more. Android L may not yet be ready for prime time, but a preview version is now available for Nexus 5 and Nexus 7 (2013 Wi-Fi model), giving users the option to get comfortable with the slew of changes it introduces. Here is how you can download and install it. Less than a month after the last Android update launched, Google is now treating Nexus users to another iteration of KitKat. It made its way to the factory images repository first, but is also slowly rolling out over-the-air to compatible smartphones and tablets. 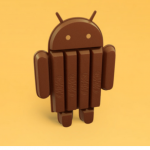 Android 4.4.4 KitKat, build version KTU84P, is available, through a corresponding factory image, for the Nexus 4, Nexus 5, 2012 Wi-Fi Nexus 7, 2013 Wi-Fi Nexus 7, and Nexus 10. The Nexus 7 slates with cellular connectivity (3G and 4G, launched in 2012 and 2013, respectively) have yet to receive the same treatment. Google Nexus 4, 5, 7 and 10 users are in for a treat, as Android 4.4.3 KitKat is now rolling out. The latest version of the operating system is also available to customers of US mobile operator T-Mobile, which has revealed the sort of changes users can expect from the upgrade. Android 4.4.3 KitKat is not a major upgrade over its predecessor, as T-Mobile says there are no new features in tow, but only improvements related to security and the customary fixing of bugs. The US mobile operator lists the upgrade as rolling out starting June 2, for its Nexus-toting customers. 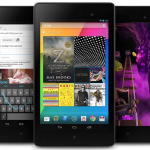 The second Google Nexus 7 tablet launched in mid-2013 with vast 4G LTE band support, that includes the Verizon cellular network. The mobile operator's customers, however, were unable to activate their new slates as Big Red revealed the device had to pass its certification process first, which was expected to be complete four to six weeks after it began in August, and be enabled for use on its cellular network afterwards. 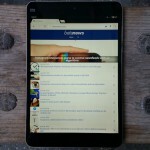 Needless to say, Verizon's estimate was highly inaccurate as the mobile operator has only just announced the arrival of the second Nexus 7, with 4G LTE connectivity on board, in its slate portfolio. As some might say, better late than never, although the excitement has long since worn off. Here is what you need to know. Nexus smartphones and tablets have developed a cult following among enthusiasts mainly due to Google's ability to deliver updates to the latest versions of Android in a timely manner. The software also has little to no customizations over the code that is available in AOSP, unlike that of many devices that have been offered throughout the years by Android vendors, such as HTC and Samsung. Android enthusiasts often refer to Google's distributions as "pure Android", even though that is no longer the case exactly with the new Nexus 5, that has introduced a launcher not officially found on any of its siblings (or available in AOSP for that matter). Nexus devices were also supposed to usher Android vendors into releasing smartphones and tablets that adhere to the design guidelines established by Google. This is one area where the search giant's brand has failed to become a trendsetter, as the likes of HTC, LG and Samsung continue to apply their own vision on how their Android handsets should look at the software and hardware levels. Remember how physical buttons were supposed to go away from the front of Android devices? Well, they are still alive and kicking even in 2014 and even on tablets (even though there were clear signs pointing to slates only adopting on-screen keys). 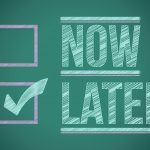 It could, therefore, be argued that the Nexus ethos has already ran its course and it is time for Google to move on. 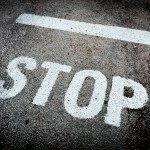 So should Google move on?